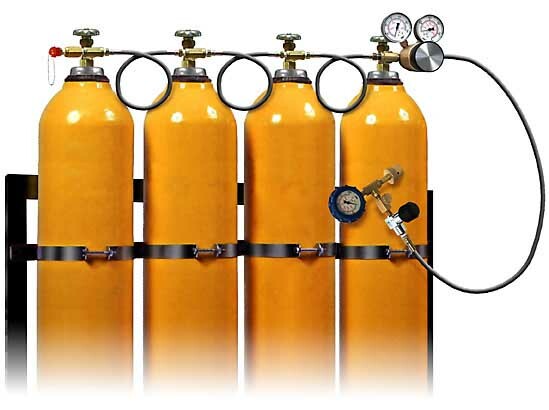 For BREATHABLE AIR CYLINDER SYSTEMS, click Here. Stainless steel manifolds, bushings and fittings. 2 ft. high pressure hoses rated to pressure selected. CGA-346 termination fittings are certified to 3000 PSI. CGA-347 termination fittings are certified to 6000 PSI. Please call 866-737-7247 to order, or email questions to Info@DeltaOxygenSystems.com.